The verb “to wander” can be synonymous with misdirection and idle movement, but my favorite definition is – to follow a winding course. Wandering does not have to mean lost. There have been many times in my past that I have wandered into a place unknown, a relationship, or a new challenge full of intent and with a clear goal to allow the journey to be part of my destination. So, here we go! Wanderfull and off on a new adventure to find something that we didn’t quite know we were missing (and maybe a few obvious things too, like a new job and home). We are in Canada now, enjoying the end of the summer before taking off across the country and then across the Atlantic. 365 days to see what we find and where we’ll end up on Sept 1, 2012. 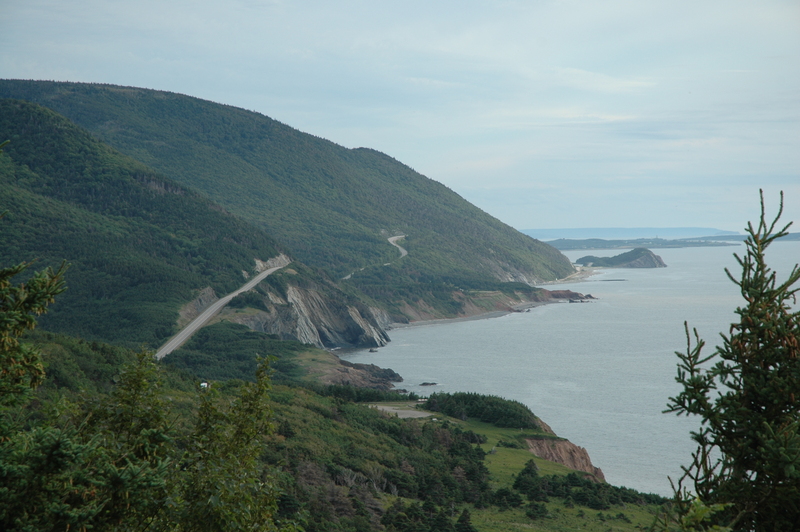 Fittingly, this post is coming from Cape Breton Island on the northern tip of Nova Scotia; an island settled in the 18th century by the French and then the British. Both wanderers and adventure seekers looking to find new opportunities in a beautiful but unforgiving environment. Driving through the countryside you can see how the Cape Brettoners live from season to season, relying on the land and the sea to provide them with what they need to get through the year. It makes me realize how easy it was to be disconnected living in NY, and it makes me even more excited to get on to what comes next.